This is a collaborative project undertaken in May 2015 between the Western Australian Agriculture Authority, Rural Industries Research and Development Corporation, Australian Truffle Growers Association and Truffle Producers Western Australia Inc. to run until January 2019. Intensive monitoring of pests at properties in Western Australia and the Eastern States has being conducted along with field trials investigating the management of major pests (slugs and truffle beetle) identified from the surveys conducted in Western Australia and the Eastern States. Orchard monitoring was conducted in 7 orchards in Western Australia at a variety of locations using varying types of pest traps. This has included the inclusion in the traps of truffle slivers as bait. Details of the types of pests collected in traps are recorded, collated and catalogued. Truffles have also been collected to observe insect damage, noting the depth of the truffle and documenting pest damage. The Pest and Diseases project has proved to be of significant value to the truffle industry over the three years of the project with the revised finishing date to be May 2019. As an outcome of the project a number of resource materials have been produced to assist growers in their assessment, identification and management of pests in the trufferies and affecting truffles. *For those of you that use or might use the Department’s MyPestGuide Reporter app, be aware that once the truffle pest and disease project comes to an end the ‘truffle survey’ option from the drop down menu that is used when making a report will be removed. 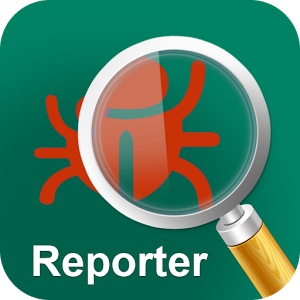 You are still able to use the app to report unknown pests that you would like identified, simply select the default ‘MyPestGuide’ from the drop down menu. Issues of the Australian Truffle Pest and Diseases e-newsletter are available on the DAFWA website.